This year the heat has let off in Fercam, and both exhibitors and visitors have been able to enjoy one of the most pleasant editions of recent years. In fact the nice weather seems to have affected the whole event since both numbers of exhibitors and visitors have exceeded the expectations. As it could not be otherwise Arcusin has taken part bringing solutions, progress and innovation to the farmers. We show our brand new olive and nuts shaker AutoPick GTI fitted with almond peeler and our classic, efficient, lightweight and versatile AutoPick MT. 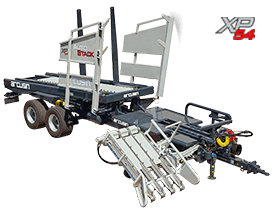 We also have the chance to introduce our big square bale accumulator ForStack. Three models that didn’t go unnoticed and arouse big interest. Farmers have everyday a deeper knowledge and are more demanding when investing their money.